A district court judge has ruled that documents pertaining to the 1959 murder case that inspired Truman Capote’s In Cold Blood may be published by the son of one of the investigating officers. The documents, retained by Kansas Bureau of Investigation agent Harold Nye and passed on to his son Ronald, contradict certain elements of Capote’s landmark true crime novelization of the case. Publication of the files was previously blocked by the courts after the Kansas attorney general’s office sued Ronald Nye over his intent to write a book based on them. Capote’s book, written after six years of research, centered on the 1959 murders of Herbert Clutter, his wife, and two of their children by two prison parolees intending to rob the family’s farm. The novel has long been held up as a pioneering work in the field of true crime writing, despite occasional accusations that Capote invented quotes or fabricated minor details. 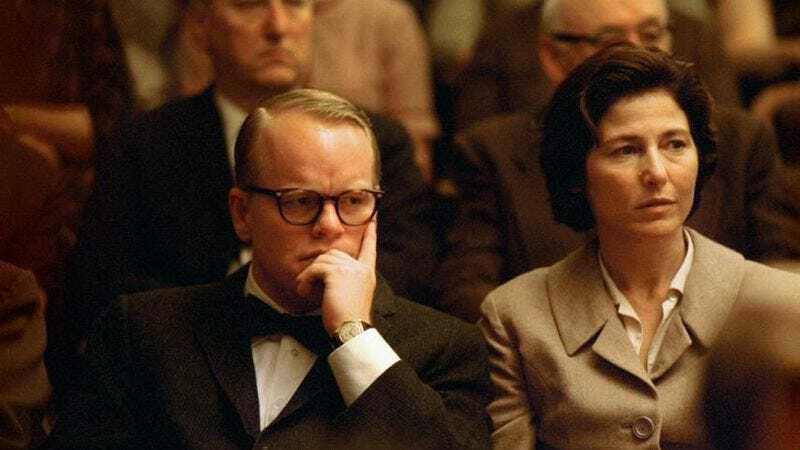 According to The Wall Street Journal, which viewed Nye’s files last year, the biggest discrepancy between the case files and Capote’s novel is in the KBI’s response to the tip that eventually allowed them to catch the murderers. In Capote’s version, investigators responded immediately to a tip from a former cellmate of murderer Richard Hickock, arresting both Hickock and his accomplice, Perry Smith, that very night. According to Nye’s records, though, the tip was ignored by KBI investigator Alvin Dewey Jr., who featured prominently in Capote’s novel and was played by Chris Cooper in 2005’s Capote, for nine days while other leads were pursued. Now that the lawsuit has concluded, Ronald Nye intends to write his own book about the case with author Gary McAvoy. Presumably it will be just as well-crafted and perfectly phrased as In Cold Blood with the added bonus of being 100 percent factually correct, which will be a nice bonus for everyone.